Monday was the last day of vacation for me, and I woke up to pink skies. 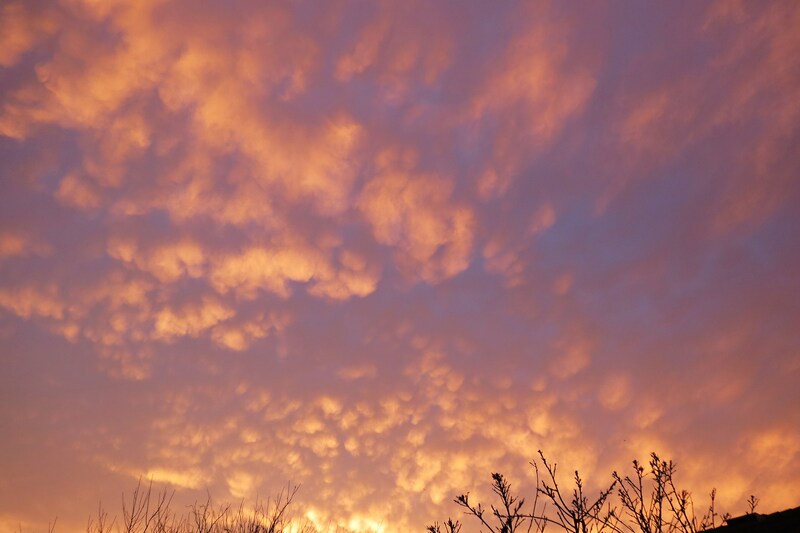 I know they say red skies in the morn, sailor be warned, but the day ended up sunny and cold! But the sky was kind of cool looking. So for last day of vacation, I batched cooked, made dessert, made appetizers and made other treats to help me throughout the week. I made so many good things, I wasn’t sure what to share with you, but I decided on sharing a treat that I just love! 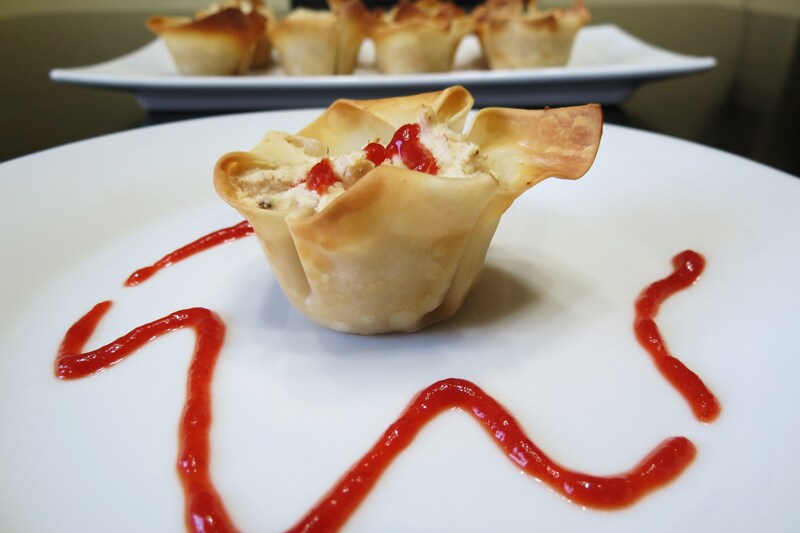 Crab Wontons! I have to admit, I love PF Changs, but I haven’t been there in over two years. Every since I lost my weight I haven’t gone, to many calories for me. One of my favorite dishes at PF Changs is the Crab Wontons. There so good. 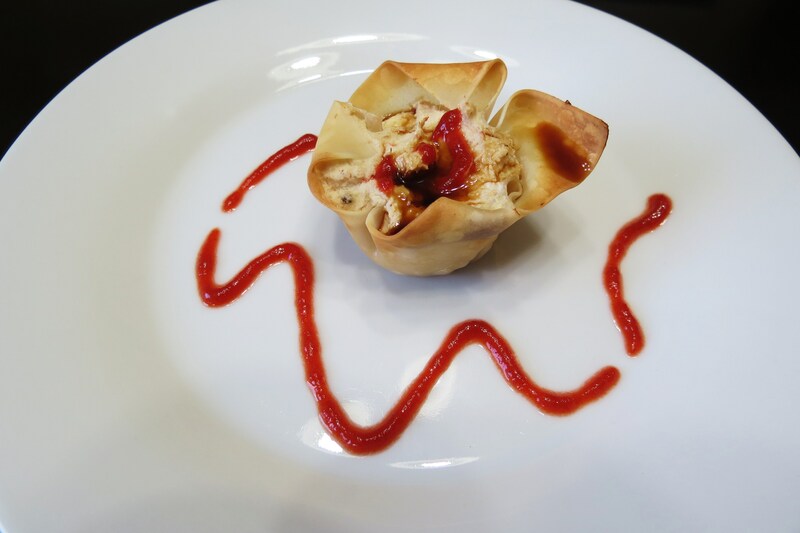 So with much researching on the Internet, I have found several recipes for Crab Wontons, and ended combining my own. I think they turned out perfect! I made 12, and there gone in 5 minutes flat! I used Won Ton Wrappers found in the produce department of the grocery store. I actually bought the won tons a couple of months ago and froze them. Took them out in the morning and by afternoon they were ready to be used. I can’t wait to see what else I can create with them. These Crab Won Tons took only a few minutes to make and oddly enough I had everything on hand to make them. 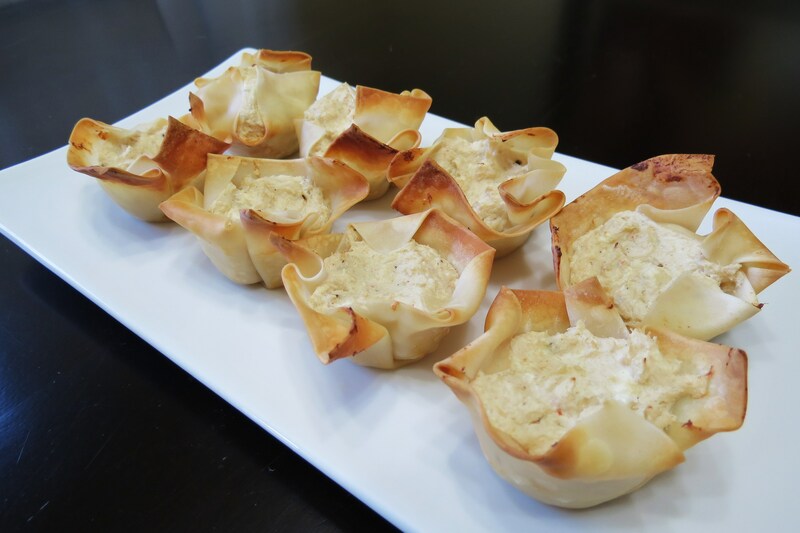 I used a mini muffin pan, sprayed with cooking spray, place the wrapper in them and add your crab mixture. Bake for 15 minutes and your done. I know I should of posted this for New Years, but I think you can have appetizers anytime of the year! I’d rather eat a bunch of little things then one big meal. As you may know I am a snacker and these fall perfect into my snacker category! 1. Preheat oven to 350°F. 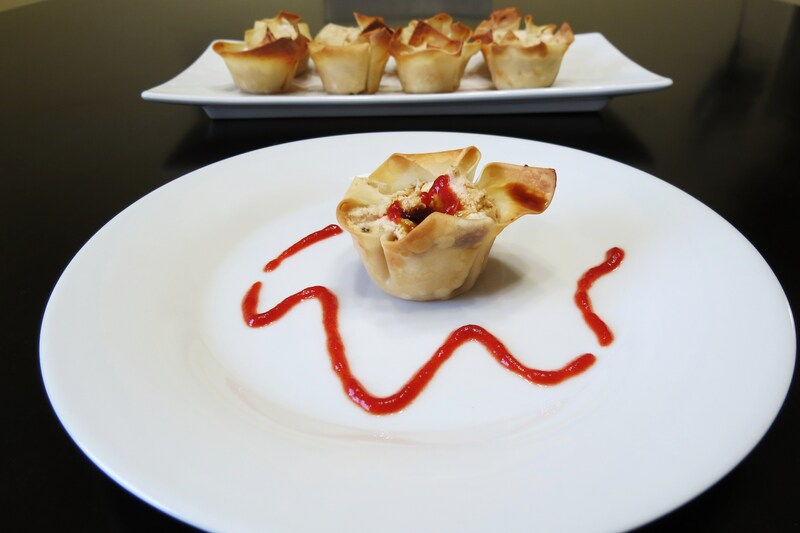 Spray a mini muffin tin with nonstick cooking spray. 2. In a medium bowl, combine crab meat, cream cheese, mayonaise, soy sauce, garlic, onion powder, and pepper. Mix until well combined. 3. Place 1 won ton wrapper in each 12 mini muffin cups. 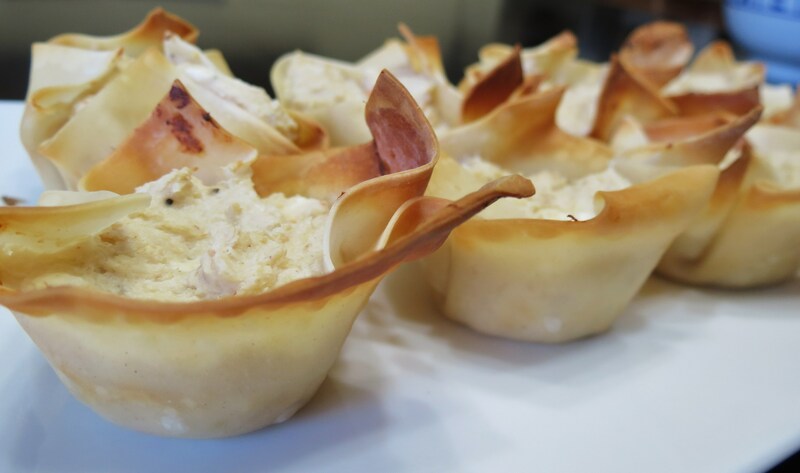 The edges of the won ton wrappers will extend beyond the mini muffin tin cups and may need to be folded slightly. 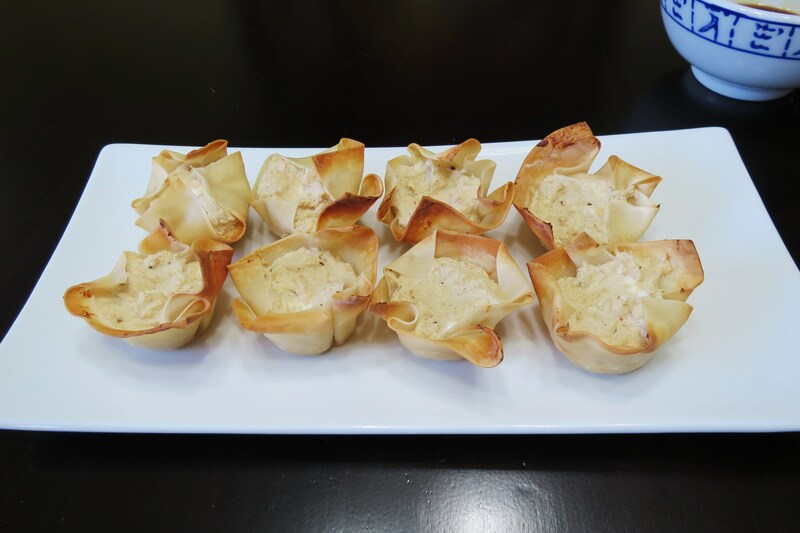 Fill the center of each won ton cup with crab mixture. 4. Bake 15 to 20 minutes or until edges of cups are golden brown and filling is heated through. Wow! Mine are half the calories, nice! Talk about a guilt free appetizer! I ate four for dinner and my husband ate 8! He must of like them! I added a little soy sauce and some Sriracha Sauce another known as Rooster Sauce. QUESTION: What is your favorite kind of appetizer? Have a wonderful week and I’ll see you at the same bat time, same bat station! Ok, I’m geeky, I know! See ya!! I love Sriracha sauce! The guy on the radio always talks about, so I bought it and now I’m addicted to it!! The Won Tons are really good, you should give them a try!! LOVE it! I am deathly allergic to crab, but when I could have them, I love them! However, just cream cheese wontons are delish! What a GREAT idea to re-make these – and to be perfectly honest, they look just as appetizing if not more so! Oh my goodness. This is my first time visiting your blog and I couldn’t believe the post that I stumbled upon – my husband and I LOVE the crab wontons from PF Changs. That’s our whole reason for going. Can’t wait to try these! these look great and I have a bunch of puffed pastry I am going to try to get creative with…this is a definite option for those, too! I love love love PFChangs but like you haven’t been in awhile , way to easy to stuff myself sick there!! 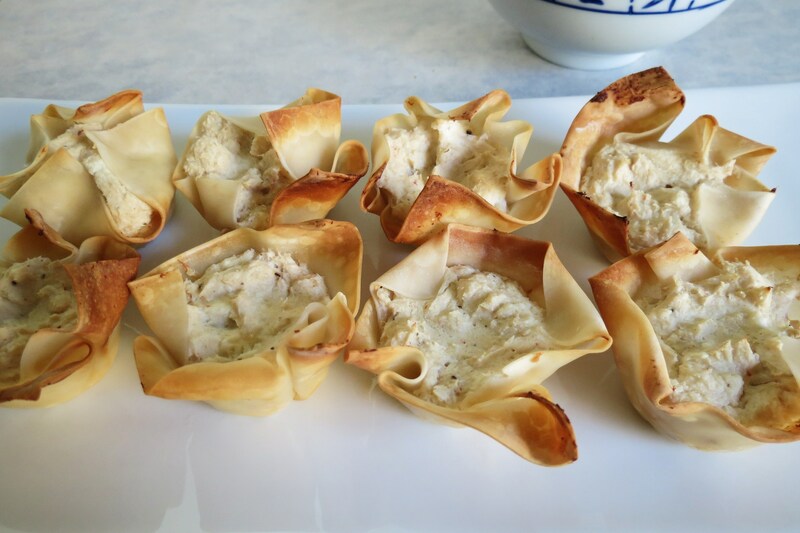 Theses crab wontons are on my list to make!! Thanks for taking me back to PF even if only in my dreams!! I haven’t had PF Chnags in over two years. My daughter went there and she said they changed the Crab Wontons and they don’t taste as good anymore. She said it’s more cream cheese than crab!! I’m happy to stick to my homemade ones!